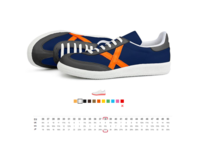 High quality product images are important because that's the closest your customers are going to get to your online products. 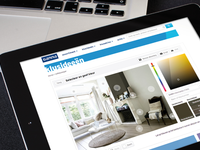 Picario is specialized in e-commerce solutions with a rich visual product experience. Your customer can zoom into a detailed image, pan across the image to get a fuller view, rotate the product 360 degrees to see the product at every angle. Picario will help you to bring your flat one-dimensional product to life, and boost your sales. 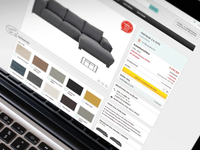 XPO Product Configurator Reviews Recently Reviewed! 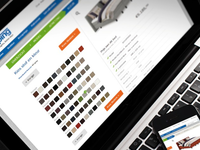 Pros: There are a lot of pros using the Picario XPO and for us, the most important one is that we now are able to (efficiently) deliver extremely advanced configurator with more than millions of different combinations. This just wouldn't be possible using regular 3D-renders which opened up for a whole new market. Cons: I can honestly say that there wasn't any downside using Picario XPO, ones we had any struggles they would always support and listen to us. Overall: We have been working with the Picario XPO for a long time now, approximately 4 years and the overall experience has been really good, ones we have any questions Picario gives us quick and relevant respone (almost immediately). And what's really important for us is that they continuously upgrade the software always keeping us updated with the market and its demands. Comments: We've been a partner for a long time and have build great tools for our customers using the Picario products. Always with great result and a verry satisfied customer.